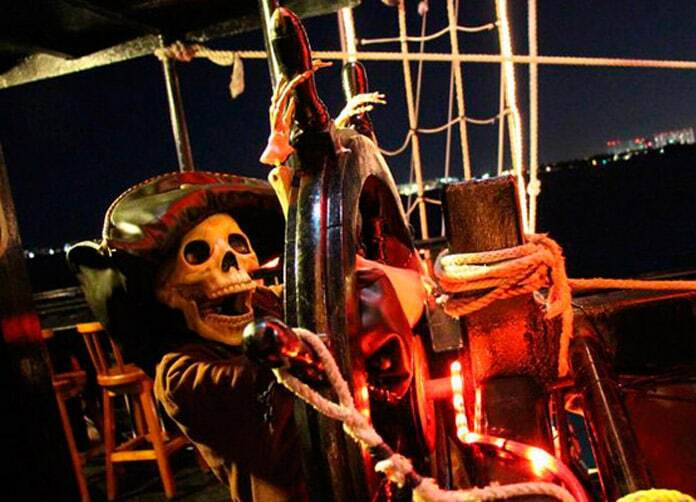 Captain Hook Cancun offers a fantastic Pirate Night adventure which is fun for all the family. 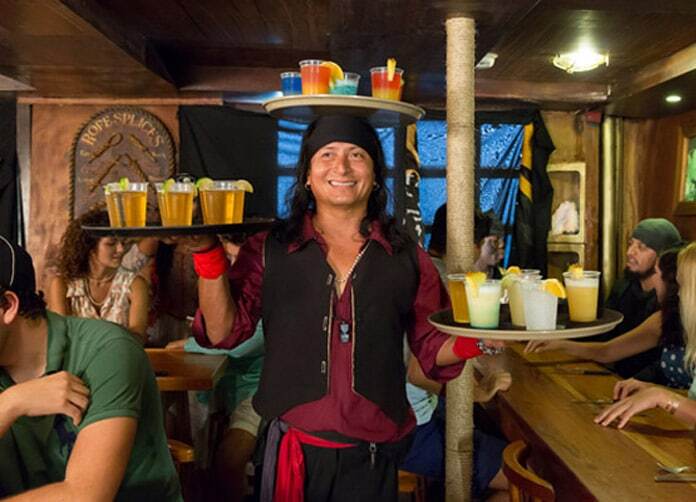 Great food, hilarious entertainment and free flowing drinks makes Captain Hook, Cancun style, one trip that I look forward to time after time. 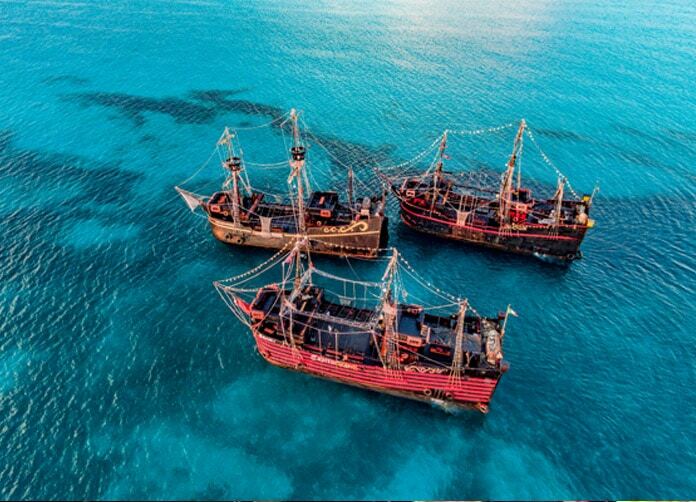 El Galeon I, El Bucanero II and the Black Pearl are 93 foot authentic replicas of 18th century Spanish galleons. Each ship has a capacity of 285 people. 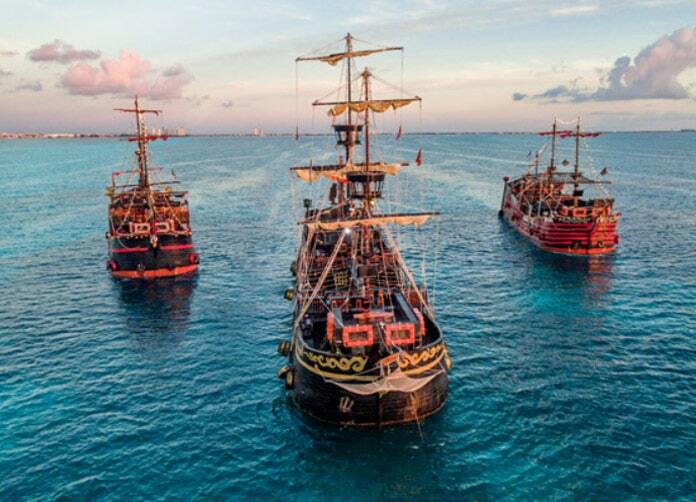 So authentic are the ships, that in 1992 El Galeon was used by the Bahamas Quincentennial Committee to reenact the landfall of Christopher Columbus at San Salvador! 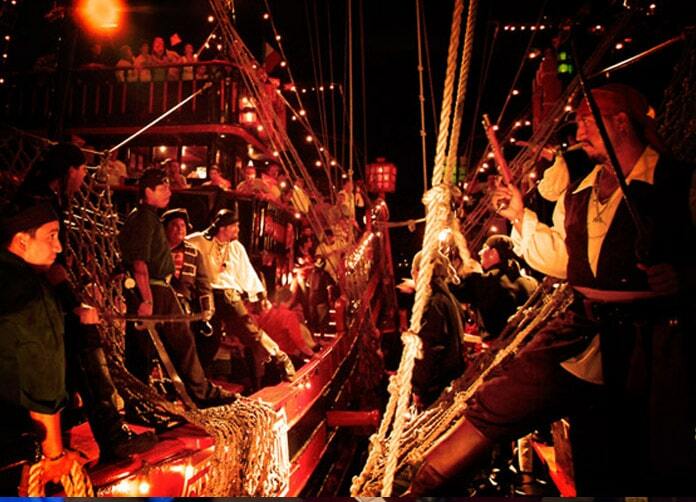 Despite begin realistic replicas, the pirate ships are equipped with 21st century sound and light systems. Modern bathrooms, a large kitchen and air conditioned dining areas ensure the boats meet your needs. 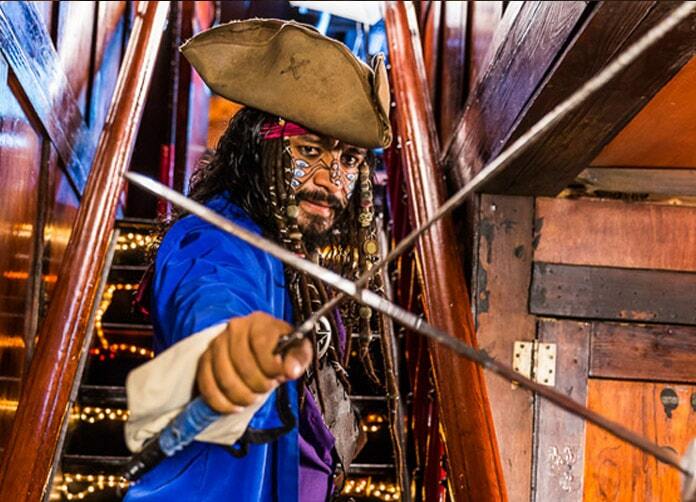 You will be welcomed aboard the Captain Hook Ship by your pirates for the evening. Photos will be taken of you and your group as you board and can, optionally, be purchased on departure. 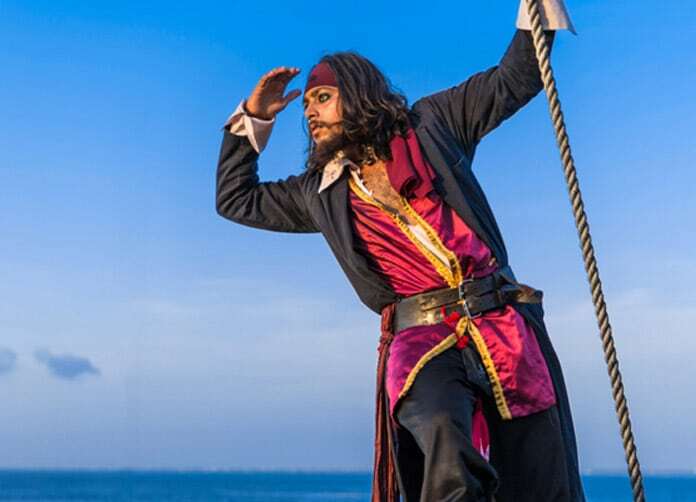 The ships depart in different directions to cruise the area between Cancun and Isla Mujeres for the next few hours. 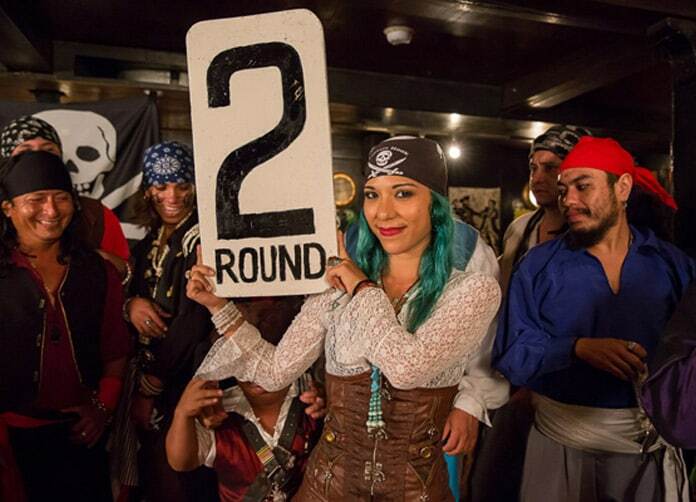 The open bar drinks start flowing and the entertainment begins with party games, silly jokes, and dancing. A superb meal then follows with a choice of steak or lobster. 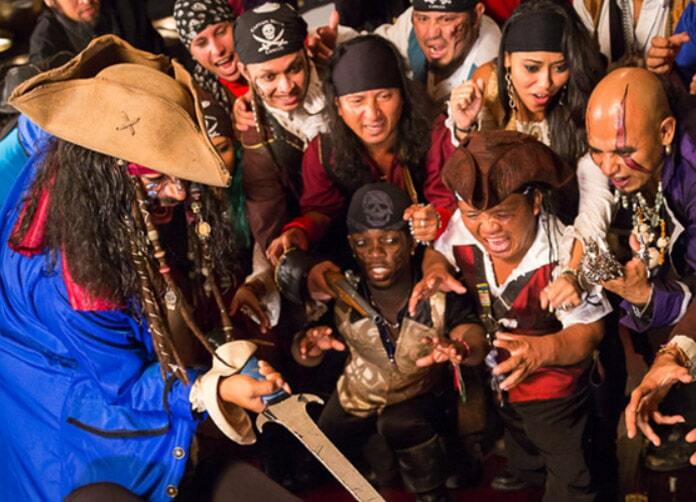 After the meal return to the decks whereupon the ships converge together and sword fights ensue with pirates swinging from one ship to the other. Following the fight more partying and dancing accompany you on the cruise back to Cancun, arriving about 10:00, so its still plenty early enough to go to a club. Ensure that if its quiet season that you go on a busy night such as Friday or Saturday because if demand is low only one ship will sail. Dock fee must be paid in cash before boarding. Kids under 12 years old are FREE! Kids can upgrade to New York steak for $15 USD or Lobster for $20 USD. Upgrade & pay at the dock upon check-in. Return transport to and from hotels south of Cancun can be added for an extra charge. Be sure to select the appropriate add on during the booking process. 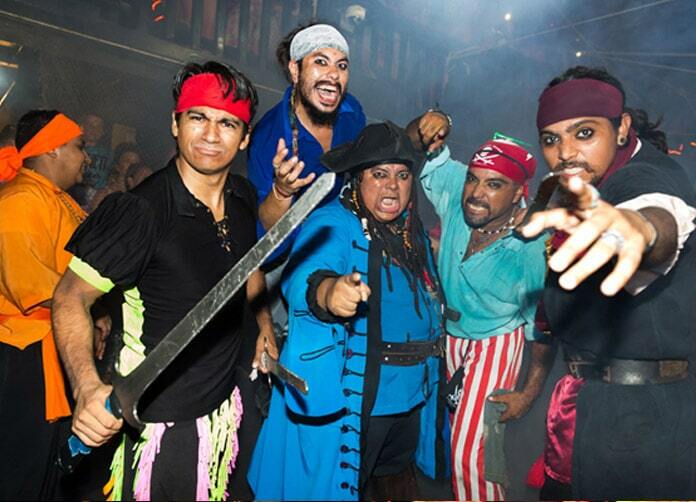 Captain Hook Become a real pirate!! 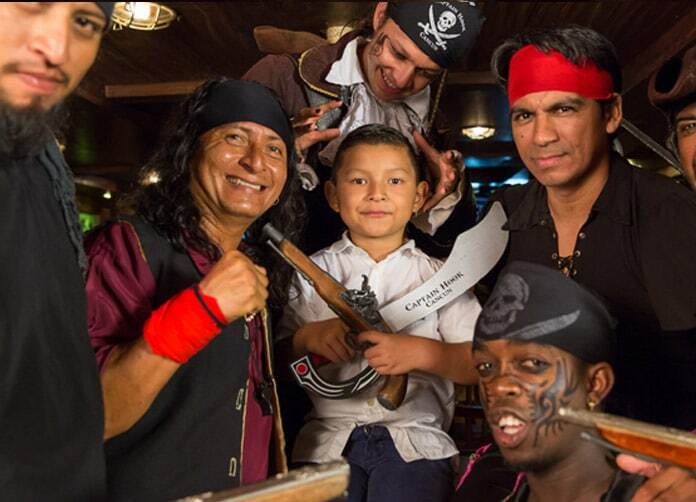 Captain Hook Cancun - Have you seen it all?